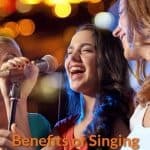 Some people memorize songs easily especially those who can compose songs, but there are also many people who want to know the techniques on how to memorize songs so they can sing with confidence in front of the audience. Songs are considered an essential part of life and tradition because they sooth the body and soul of a person, and they have passed through generations unscathed. Many people find it hard to memorize the lyrics of songs, and these memory slips sometimes are very frustrating. Some factors may cause the inability to remember words such as lack of sleep, medications, and many other factors. Songs are like poems, and they have patented structures. Hence, when memorizing the lyrics of a song, you should first figure out its structure. If you are not a vocalist, for example, you may do away with not completely knowing all the words in a song. But if you are the band’s vocalist, for example, you should be very particular with every word in a song. Hence, to facilitate the process of memorizing the lyrics of a song, you should first figure out the structure of the song. You should begin with the mapping out of the song’s form. You can do this by simply listening to the song using your headphones. At the onset, you should simply listen to the whole song. Afterward, you can relisten to the song for the second or third time. As you go on listening, you can write down the lyrics word for word. You could pause the playing of the song if you misheard a word or two. Write down the sections to figure out how the structure goes. Write the intro, verse, chorus, bridge, and other parts. Make sure that you know how long each part is. If you are a drummer, you also need to include the number of measures in your written structure of the song, while if you are a guitarist, you should also include the riffs and the chord progression. Write the form down because anything that is not written often flies away. Once you’re done writing, you can then listen again to the song using your form and structure as guide. Correct the mistakes on your written copy. If you do this, you will surely have a really solid grasp of the different parts of the song. Speak out or read out loud the words of the song in a written rhythm is a good way of training yourself. When you come across syllables on long notes, try to elongate them, and do it for the entire process. First, read the words of the song as if you’re conversationally reading a script to connect with the whole story of the song. It has remained a kind of method in transmitting emotional messages, and other forms of info used since time immemorial. 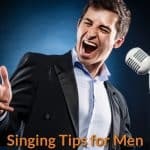 When you sing a song, you don’t usually appreciate much its music notes and lyrics because it is the tone and tempo that affect your memorizing process. But if you put the song on its written form showing the texts clearly, you’ll realize the secrets behind its words and the meaning of the whole song. Its written form helps you to determine the content of its structure. As you look at the text of the music notes and lyrics, you’ll be able to analyze in some ways what makes it a unique and distinctive musical composition. This way, you’ll be able to learn easily how to memorize songs that have won accolades to sing better. Do you know how the written form differs with a live song? In a written form of the song, the info related to the voice of the singer is not present, as well as the info pertaining to sound production. Aside from that, the visual info and other important aspects that go with the song are not also shown in the written form. These are the significant points attached to the song that makes it unique from other songs but are not found in a written form. In simple terms, the written form of a song has no significance and does not have its most important part, which enables people how to memorize song of this type and perceive its lyrics. You can be memorizing songs faster is by listening to the melody for once, and singing it in a whispered manner. For maximum effect, and to allow the intervals to pass through your vocal muscles, you can slide moderately between the notes. The best way to remember a song is to memorize it for the first time. Once you’ve memorized it, you should repeat it. Always remember that anything that you could not reproduce is still not yet learned or memorized. Hence, you should be able to completely replicate the lyrics without relying on your copy of the lyrics. The trick is the more you sing it, the better is your chance of memorizing it. Hence, if you really want to memorize the lyrics, you should first start with memorizing the first line; then, the second line. Afterward, you can then remember the first and second lines together. Once you think that you know by heart the first and second lines, you can then proceed to memorizing the third and fourth lines. After that, you can sing from first to fourth lines. The more repetitions you make in singing the song, the higher the chance that you would memorize the song by heart. Hence, you should sing the song while you are taking a shower and sing it before you go to bed. Lastly, they say that singing it before falling asleep allows your subconscious mind to retain the lyrics of the song, making the lyrics of the song an integral part of your long-term memory. 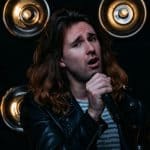 Once you feel confident in singing the whole song entirely, you should then sing the song using all the techniques and nuances that you are capable of. Tinge the song with emotions and colors, and you will surely get the hang of the song and be able to perform it with uniqueness and depth of expressions. One amazing skill that can be of great help to you on memorizing the songs easily is known as Melody Repetition. It is a way of testing your melodic memory, music intervals and sense of pitches. As a singer, you are often required to hear a demo about the composition of an original song. You focus yourself in learning the new song from your heart by merely listening to it deeply before you enter the studio for a recording of that song as part of a music project or an album. 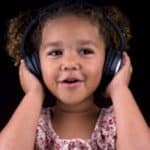 This only means that you have to possess a very impressive melodic memory so that it would be easy for you to learn singing new songs in a quick way and perform them well. You can improve your skill on memorizing lyrics through melody repetition by performing simple ear training exercises to test your ability in memorizing different melodies. 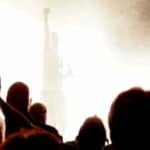 If you can write the lyrics of the songs by yourself by simply listening to them before searching them in a lyric booklet or online, that would be superb. You would be able to keep them in your head quicker and much better. 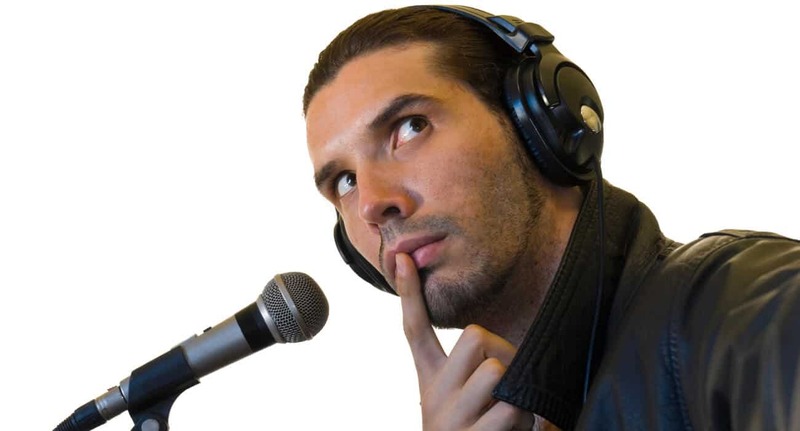 One important thing that you can do to make the song and lyrics more memorable is that you can try to understand the lyrics of the song so that you will know what the song is all about. You’ll find it easy because most of the songs that you’ll encounter are taken from stories or poems. If you know how to put music to that song, then it would become more comfortable for you to learn its lyrics. When you think that you already have a good understanding of its lyrics, it pays to check them out online because you might have misheard some of them. The strength of retention of the lyrics of the song is usually relative to the amount of repetitions that you do. This is according to the famous psychologist Edward Thorndike. Things that are memorized fade very quickly; yet, the more you repeat material or lyrics, the better they are retained. Moreover, the interval of repetitions also plays a vital role in the retention of lyrics. Always remember that 1/2 of the material learned are forgotten within 8 hours without repetition. Similarly, if you memorized a song in the morning and did not engage in repetition within 8 hours, chances are, you will forget half of the lyrics of the song after 8 hours. Hence, make sure that you follow the right interval of repetitions for better retention.